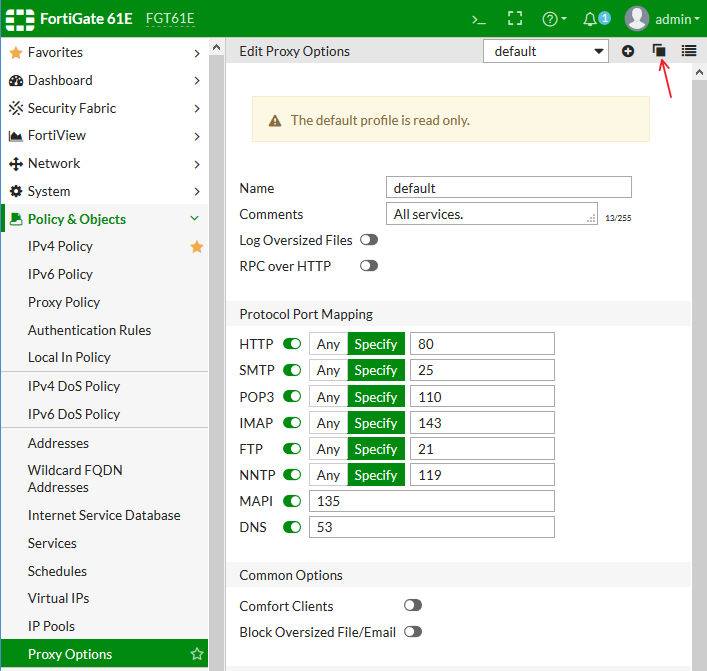 Enable Explicit Proxy under the Network section. You don’t need to make any other changes on this page at this time. 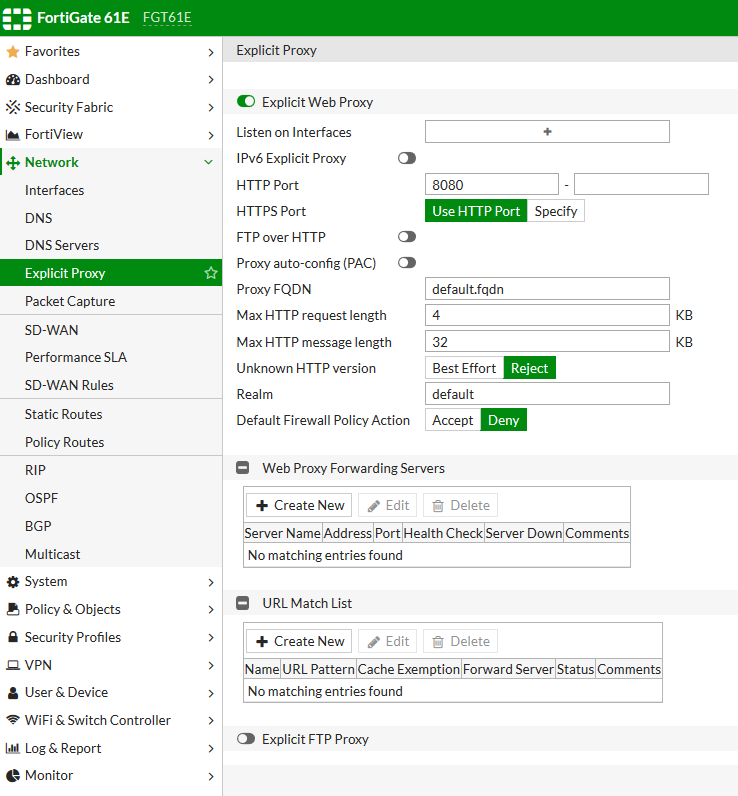 Now we are going to enable HTTP Policy Redirect on our newly created Profile – that is the important one. Comfort Clients will allow a trickle of traffic while files are analyzed to help prevent failures on the client side. 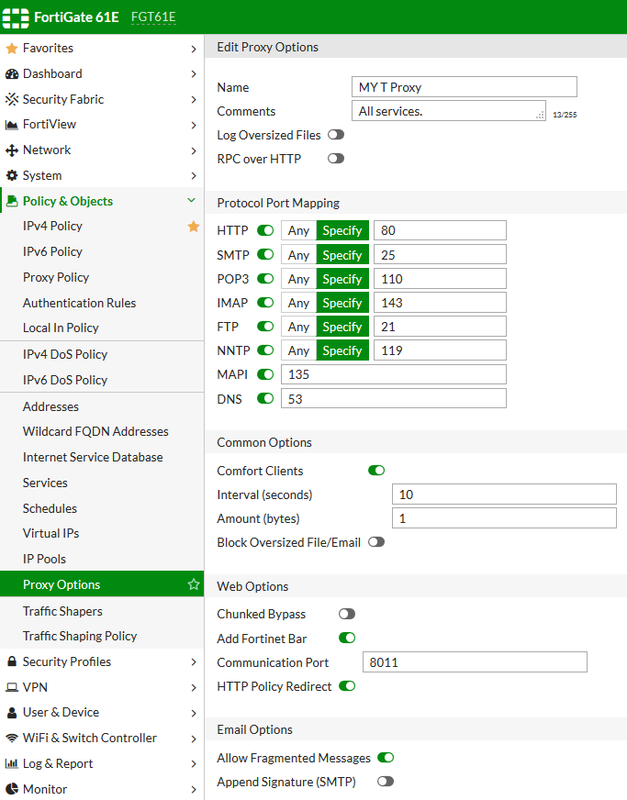 Now we will want to create or modify a policy controlling the traffic we want to apply our Transparent Proxy to. 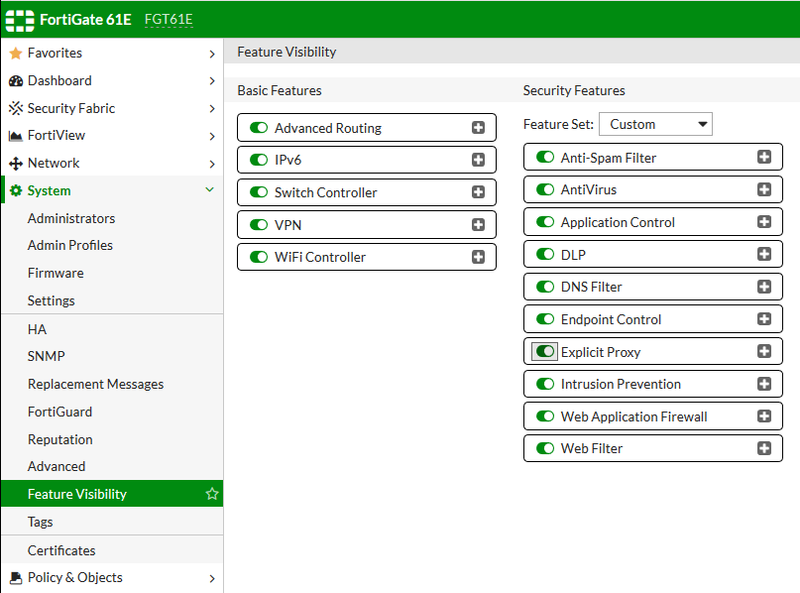 Select your Proxy from the drop-down, then apply the security profiles you want. 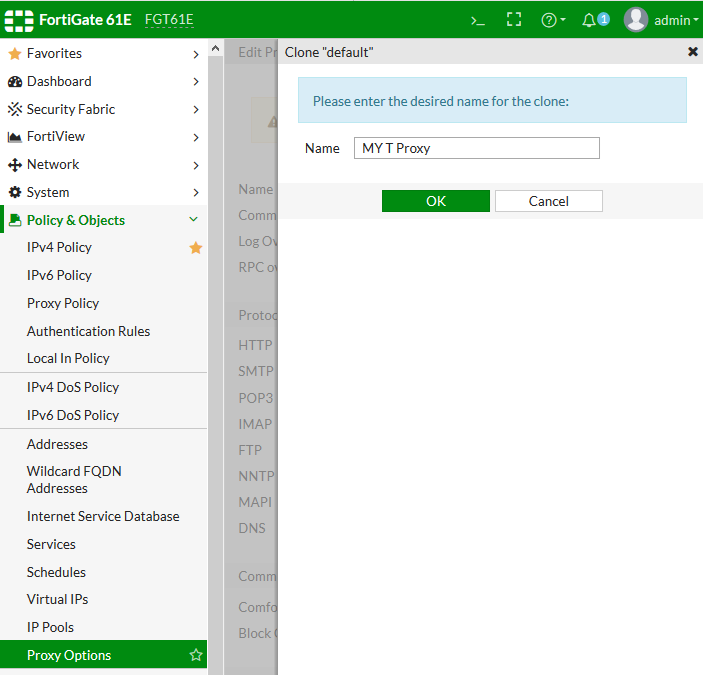 Now, go to FortiView -> Policies and Right click on the Policy you enabled your Transparent Proxy on then click Drill Down to Details. You can see traffic flowing through this policy! 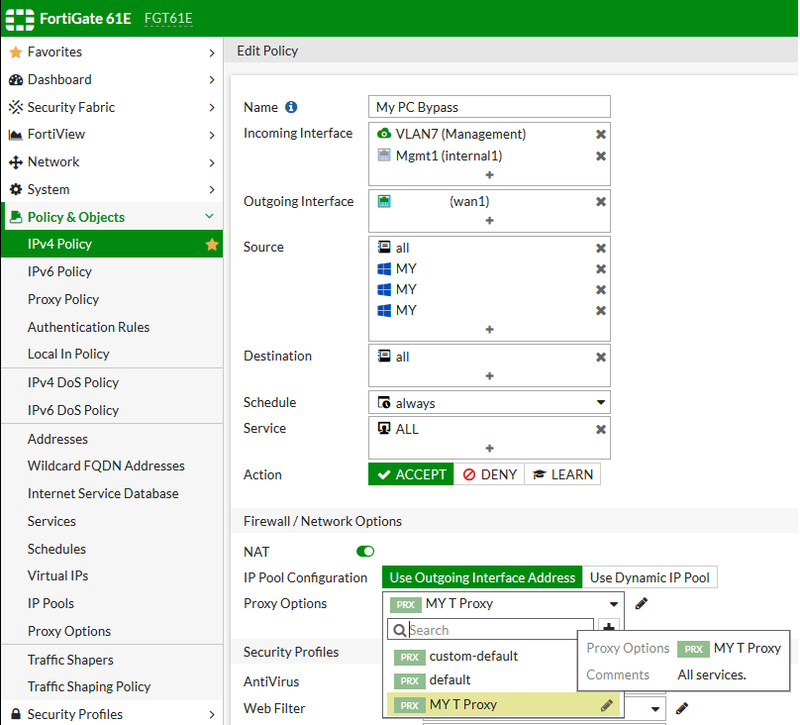 All other traffic as defined in your Proxy Options Policy will now flow through a new Policy called the Proxy Policy. 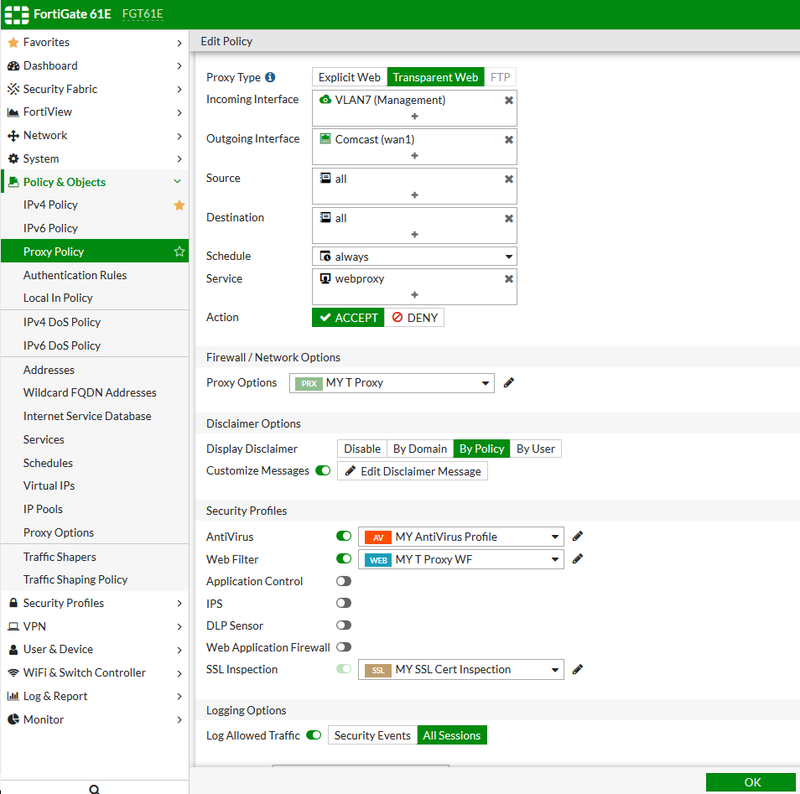 Click on Proxy Policy and then hit the + Sign to Create a New Policy. First change the type to Transparent Web. Make sure that the service that is selected is “webproxy” and add a Disclaimer if you want.